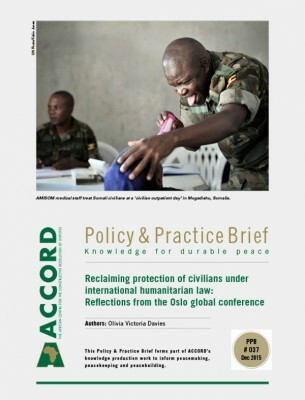 This Policy & Practice Brief (PPB) evaluates how well-equipped the African Union’s (AU) migration policy framework is to address various domestic challenges that individual African states face in managing international migration. 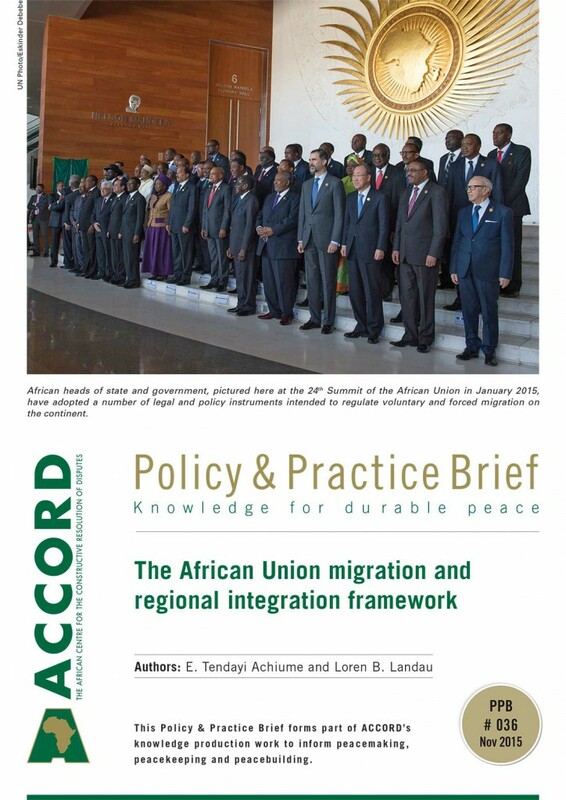 It reviews these issues, then analyses the key policy instruments underlying the AU’s continental migration framework. The focus of this PPB is the African Common Position on Migration and Development and the Migration Policy Framework. 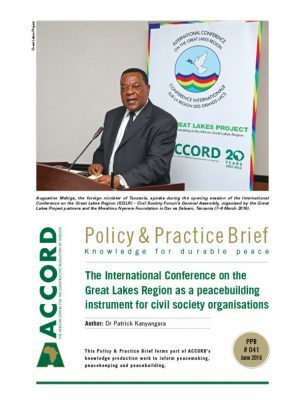 Although other AU legal and policy instruments have migration implications, these two documents are the entity’s most comprehensive articulation of its normative and policy vision for regional migration. While migration and immigration are far-reaching concerns intersecting with issues such as trade, security and communications, this brief focuses on the social integration of migrants and their hosts; and recommends reforms to address key weaknesses in the overall framework. Migration within, into and out of Africa is an important demographic dynamic closely tied to broader social, economic and political processes. In 2014, close to three million people – displaced by conflict and persecution – were refugees on the African continent.1 Migration in search of routes out of poverty, and for a host of other reasons, occurs at an even larger scale. This movement will only increase as economic and institutional integration continues, regionally and globally. Crossing borders – whether by choice or necessity – brings both risks and opportunities. Effective local, national and regional responses to movement cannot address all migration-related challenges. However, these reactions have a central role to play in ensuring human rights protections, and that the benefits of migration accrue for migrants, hosts and sending communities. The AU’s overarching approach to migration is articulated in two policy documents: the African Common Position on Migration and Development (African Common Position),4 and the Migration Policy Framework for Africa,5 both adopted by the Executive Council of the AU in 2006. 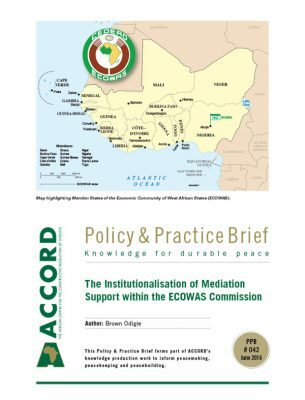 This brief focuses on these two documents as they provide the continental body’s most detailed and expansive guidance on how African states should regulate migration. They also address policies governing how member states regulate migrant access to their territories, and the treatment of immigrants within their lands. Neither policy document is binding on AU member states, although both underscore AU member states’ obligations to comply with legally binding migration-specific regional and international law. This includes the two AU treaties that govern involuntary migration – the Organisation of African Unity Convention Governing the Specific Aspects of Refugee Problems in Africa, and the African Union Convention for the Protection and Assistance of Internally Displaced Persons in Africa (Kampala Convention). urges international migration and human rights organisations to coordinate anti-xenophobia activities. In relation to social cohesion, both the African Common Position and Migration Policy Framework highlight the need for stronger rule of law, and conflict prevention and resolution, as important features of national, sub-regional and regional migration, and successful integration. The AU’s migration policy frameworks are appropriately ambitious – they set the tone for a unified continent in which migration and integration are linked positively to development. At the same time, the frameworks are flexible; to be effective migration policies must vary across countries and sub-regions. As such, both the African Common Position and Migration Policy Framework assign significant roles to RECs and AU member states to develop policies that realise the AU’s vision. 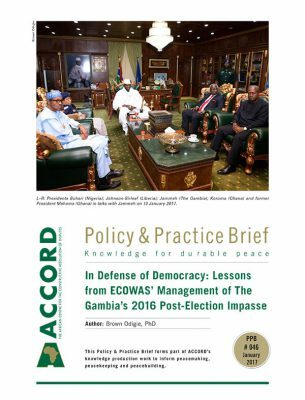 The frameworks also have a number of fundamental weaknesses which include institutional, conceptual and political facets. First and foremost, neither the African Common Position nor the Migration Policy Framework have a dedicated institutional mechanism for guiding or monitoring AU member states’ compliance with their content. As such, member states cannot be held accountable within these frameworks, and even those states committed to implementing the frameworks must do so without much-needed guidance and support at the level of the AU. As a result, an important next step is for the AU to move towards establishing an institutional mechanism that would provide the necessary guidance and accountability measures necessary to achieve the vision it lays out in its existing policies. Although the African Common Position and the Migration Policy Framework both emphasise a human rights frame as essential to ensuring social integration and the wellbeing of migrants and their hosts, they do very little to provide evidence-based recommendations for concrete policy solutions that would successfully assist member states to use human rights in this way. For example, although civic and human rights education can promote social cohesion, they are no match for the structural socio-economic and political factors that often fuel xenophobic discrimination.9 This problem is not unique to the AU’s migration policy; arguably even international human rights instruments and policy makers fail to make the necessary connection between human rights norms and the concrete policy mechanisms for realising them. However, the AU has an opportunity to bring clarity in this regard by devoting research and resources to offer more concrete, evidenced-based policy guidance on how best to use human rights to navigate the challenges migration can pose to social cohesion. The AU Migration Policy Framework implicitly recognises that there may be political resistance to policies which facilitate migrants’ access to territory, markets and services. Such resistance is likely to be more pronounced in the years ahead. Already, across the continent, processes intended to facilitate increased trade and information exchange progress have been accompanied by politics of closure when it comes to immigration.10 The framework recognises the tension between migrant rights and national security, but calls on states to strike a balance, guided in part by international standards and norms.11 However, ascendant securitisation agendas in many parts of the continent suggests that the AU must more firmly reinforce member states’ commitments to the welfare of migrants. An important way it can do this is by making explicit the synergies between migrant welfare, social cohesion and national security. There is need to think more broadly about what constitutes ‘immigration’ policy within the AU frameworks and in broader efforts to enhance the safe movement of people and ensure improved conditions for those who move. Under the best of circumstances, the effective implementation of progressive immigration policies involves reforms to sectoral policies, budgeting systems and planning processes. The combination of decentralisation and securitisation gives further cause to look to complement or potentially replace campaigns for the reform of immigration policy. As rights are increasingly negotiated locally and ‘horizontally’,12 with neighbours and local authorities, there are opportunities for positive change at local level, even when national policies are becoming increasingly restrictive. Moreover, by working outside the highly politicised discussions of international migration, it may be possible to promote a kind of bureaucratic or invisible incorporation.13 By creatively improving sectoral policies and planning experiences, there may be opportunities for enabling migrants to better access services and security without being made the centre of contentious political debate. Ongoing research in East and southern Africa, for example, suggests that immigrant access to health services may be better negotiated through bureaucratic means rather than through rights claims. Similarly, this research suggests that access to housing and employment can be facilitated by appealing to local officials’ interest in boosting tax revenue, rather than through appeals to rights or inclusive development. The challenges of managing migration in ways that promote economic, human and state security are not unique to the African continent. Every region in the world currently faces the difficulties of balancing domestic immigration realities with integration aspirations, especially as global migration flows increase. 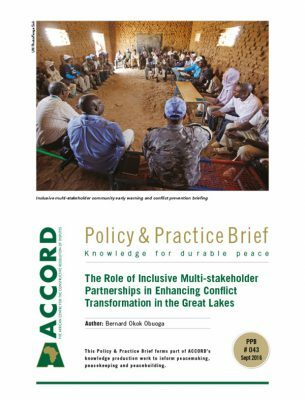 In this environment, the AU and its member states must carefully consider the specific contexts in which they operate and the tools and capacities at hand. Populist demands and incentives from OECD countries may help increase the appeal of policy responses framed predominantly in security terms, but these will have negative long-term consequences. Responses coloured deeply by state security concerns are likely to do little to prevent criminality or terrorism, but are – as they have in Europe and the United States – likely to foster both human rights abuses and organised crime along countries’ borders, and social stigmatisation and labour exploitation elsewhere. Moreover, they will hinder the kinds of cross-border trade on which so many of the continent’s residents rely. 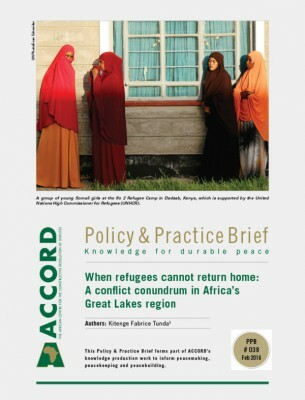 AU policy makers may soon move towards realising a legally binding protocol on the free movement of persons, rights of residence and right of establishment, as provided for in the Abuja Treaty.14 As policy makers consider approaches to migration, they should recognise the opportunity to be global innovators, much as they have been regarding normative frameworks governing refugees and displaced person. A top priority should be reforms that close the existing gap between aspirational integration values, and the concrete policy guidance that AU member states require to achieve these. Towards these ends, the following recommendations for reform may help create more inclusive, secure and prosperous outcomes from human mobility and social cohesion. ascertain how best to use foundations such as the human rights frame to pursue social integration. This will also require comprehensive analysis of how best to use law and policy to consolidate the benefits of migration and regional integration. Strengthening regional implementation and monitoring mechanisms to improve national implementation of regional and sub-regional policy will mean moving beyond immigration policies to consider and address broader concerns around governance that determine the treatment of international and domestic migrants. This will also include developing incentives for AU member states’ compliance with regional policy. It is important to strengthen existing forums and avenues for authorities and stakeholders at sub-national level to discuss pertinent issues of mobility, social cohesion, trade and planning. Debates held in these forums need not be framed as immigration concerns, per se. Indeed, many of the migration-related challenges facing local authorities stem from patterns of domestic mobility. Rather, mechanisms should be created to incorporate international and domestic migration into local level strategies for policing, trade, housing, and other policy sectors. The AU’s policies provide a valuable normative framework for promoting the movement of people within Africa and for their basic protections when outside their respective countries of nationality. Its migration policies are flexible, an important feature given the diversity of circumstances within and across the continent’s sub-regions. Despite these strengths, the AU’s migration framework does not adequately provide concrete guidance for protecting migrants’ rights. This is evident in the tension between the aspirational goals of portable rights within the context of regional integration and the socio-economic and political realities of AU member states. This is especially true with respect to the framework’s goals regarding social integration, and its failure to provide adequate, empirically informed guidance on achieving this integration in challenging domestic contexts. The AU’s migration framework does not provide for monitoring or enforcement. 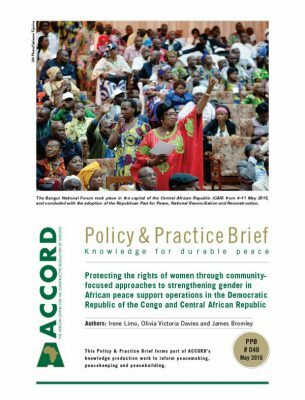 It offers few mechanisms to encourage the development of progressive policies that promote the safe movements of people or protect their rights. Similarly, it does not deliver any penalties for countries that actively or implicitly violate the rights and dignity of immigrants. Narrow interventions such as civic education or even immigration policy reform rooted in human rights standards are unlikely to counter xenophobia or promote social cohesion on their own, as forms of exclusion and violence are rooted in politics and processes cutting across multiple policy areas. These include policies and laws, inter alia, surrounding urbanisation, labour markets and service delivery. Progressive reforms to immigration policy are currently threatened by the powerful securitisation agenda evident in many AU member states. In Africa’s contemporary political climate, advocates for migrants should complement overt campaigns for immigration reform with efforts to mainstream immigrants’ concerns with broader questions of access to justice/rule of law, policing, urbanisation and local government, labour and conflict resolution. United Nations Refugee Agency. 2015. UNHCR regional operations profile – Africa. United Nations Refugee Agency. Available from: <http://www.unhcr.org/pages/4a02d7fd6.html> [Accessed 9 July 2015]. World Intellectual Property Organization. no date. World Intellectual Property Organization: Administered Treaties, Abuja Treaty Contracting Parties. World Intellectual Property Organization. 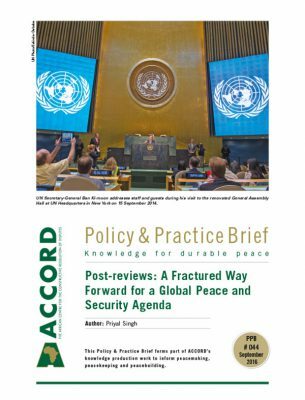 Available from: <http://www.wipo.int/treaties/en/ShowResults.jsp?treaty_id=217> [Accessed 9 July 2015]. African Union. 2002. Treaty Establishing the African Economic Community, Article 43. African Union. Available from: <http://www.au2002.gov.za/docs/key_oau/aectreat1.htm> [Accessed 9 July 2015]. African Union Executive Council. 2006. African Common Position on Migration and Development. African Union. 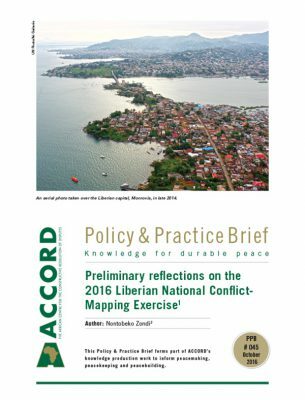 Available from: <www.un.org/en/africa/osaa/pdf/au/cap_migrationanddev_2006.pdf> [Accessed 9 July 2015]. African Union Executive Council. 2006. The Migration Policy Framework for Africa. African Union. 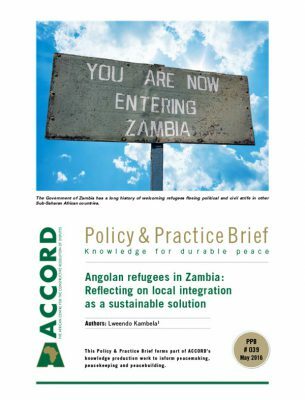 Available from: <sa.au.int/en/sites/default/…/au_migration_policy_framework_africa.pdf> [Accessed 9 July 2015]. See Achiume, E.T. 2014. Beyond prejudice: Structural xenophobic discrimination against refugees. Georgetown Journal of International Law, 45 (3), pp.323, 359–360. A few examples illustrate this point. In South Africa, the government has responded to attacks on non-nationals living in the country with calls for more restrictive border controls and ‘Operation Fiela’, an interagency initiative de facto targeting non-nationals for arrest and, presumably, deportation. 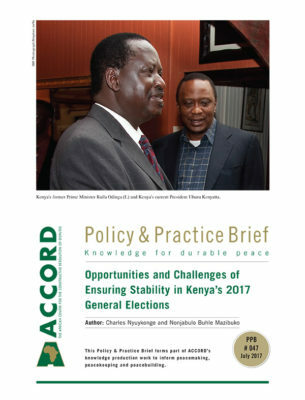 Over the past year, Kenya – a driver of the liberalising East African Community migration regime – has similarly responded to perceived threats to its territory and citizens with increasingly restrictive responses to refugees and immigrants living in the country. With the threats of Ebola and continued instability in West Africa, concerns over health, human trafficking and physical security have also provided justification for heightened regulation and controls on immigration and the rights of migrants. 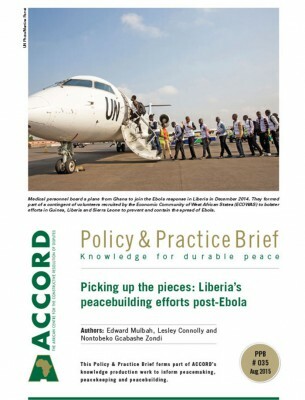 South Africa, Kenya and Ebola-affected West African countries offer examples of challenges that many AU member states are currently facing. African Union Executive Council. 2006. The Migration Policy Framework for Africa. Op. cit. Article 43. N. Kabeer. 2005. Inclusive citizenship: Meanings and expressions, claiming citizenship. London, Zed Press. p. 23. See, for example, Marrow, H.B. 2009. Immigrant bureaucratic incorporation: The dual roles of professional missions and government policies. American Sociological Review, 74(5), pp. 756–776, and Landau, L.B., Segatti, A. and Misago, J.P. 2013. Planning and participation in cities that move: Identifying obstacles to municipal mobility management. Public Administration and Development, 33(2), pp. 113–124. African Union. 2002. Treaty Establishing the African Economic Community. Op cit. Article 43. African Union. Executive Council. 2006. The Migration Policy Framework for Africa. Op. cit. Article 29–30.